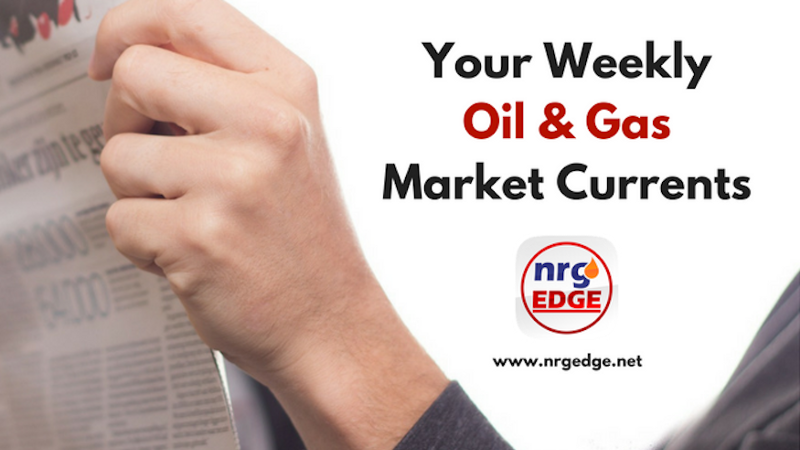 Crude prices started on a weaker note, after a see-saw week of trading last week, as indications pointed to American shale output swelling. With OPEC's efforts already in place and the beginnings of a pullback in June expected by the market, attention has been focused on the current swing factor – American crude production. Output from major US shale regions is expected to continue strong gains. This would help stabilise, perhaps increase, crude stockpiles in Cushing, Oklahoma, which have declined consistently since the start of 2018. The EIA expects output from American shale regions to reach 6.95 mmb/d in April, a gain of 131,000 b/d, with the Permian alone contributing a gain of 80,000 b/d. US jobs data showed a healthy increase in oil and gas sector employment, up 1,100 in February, an acceleration after steady gains last year. Oil rigs in the US fell for the first time in six weeks, dropping four sites in response to the recent sapping of crude price strength. Gains of seven gas sites still led to an overall gain, with the total active rig count at 984. All this points to American crude output exceeding expectations in output terms; within OPEC, Iran is lobbying to keep oil prices at US$60, fearing that a US$70/b target will only encourage additional US shale output. Crude price outlook: The continued ascent of American shale production will keep price momentum depressed, with Brent likely to trend towards US$63-64/b and WTI at US$60-61/b. Eni has acquired a 40-year stake in the two major offshore concessions in Abu Dhabi for US$875 million. In return, Eni receives a 5% stake in the Lower Zakum oil fields and a 10% in the oil, condensate and gas fields of Umm Shaif and Nasr. ADNOC will continue to hold a 60% stake in both. Saudi Arabia is scheduled to join the shale revolution by end March, as shale production at the North Arabia basin, said to rival Eagle Ford in Texas, begins. Drilling at the South Ghawar and Jafurah basins is also underway, as Aramco plans a US$300 billion ten-year spending spree. Encouraged by recent discoveries in Guyana, the Dominican Republic will be offering two onshore oil and two offshore gas blocks by the end of March, attracting the attention of BP and ExxonMobil. Petronas has struck oil at the Boudji-1 well in Gabon's offshore Block F14, an ultra-deepwater field with encouraging ‘high quality' deposits. Premier Oil's Catcher field – the most recent field to start up in the North Sea – will reach its projected 60,000 b/d target ahead of plan, by 1H18. Shell will be selling out of the ageing Draugen field in Norway, along with stakes in smaller fields, including Gjoa, Kvitebjorn, Valeman and Sindre. Petronas will be upgrading its ageing Kerteh refinery by 2022, to expand its crude diet beyond the local light sweet Tapis crude, as well expand capacity to meet Euro V standards and deepen petrochemical linkages. Petrobras will be investing some US$42 million to upgrade its Presidente Bernardes refinery near Sao Paulo to improve efficiency. Vietnam has pulled the plug on the planned US$3.2 billion 160 kb/d Phu Yen refinery, revoking the investment licence granted to UK-based Technostar Management and Russia's Telloil Group. Sinopec appears to have prevailed over Glencore in pursuit of Chevron's downstream assets in South Africa and Botswana, as South Africa's Competition Tribunal approved its US$900 million purchase, subject to an additional investment of US$504 million over the next five years. Saudi Aramco and SABIC have appointed Wood to develop its planned crude-to-chemicals complex in Saudi Arabia, which would be the world's largest with a capacity of 400 kb/d and 9 mtpa of petrochemicals. Not to be outdone, ADNOC announced plans to build the world's largest integrated refining and chemicals site in Ruwais, doubling its crude capacity and tripling its petrochemicals capacity, rivalling Jamnagar. Petronas has inked a 13-year contract with Tokyo Gas, supplying some 500,000 tons of LNG per year to its long-term customer beginning April 2018, which could rise to 900,000 tons per year after seven years. In another blow to Canadian Pacific coast LNG, Australia's Woodside has dropped plans to develop its Grassy Point project, choosing instead to focus on the Kitimat LNG project with partner Chevron. Ophir Energy expects first gas from its Fortuna project in Equatorial Guinea by 2022, with FID expected by the end of 2018. Trial operations have begun at Ichthys in Australia, with Inpex sticking to its end-March target date despite rumours of more delays.